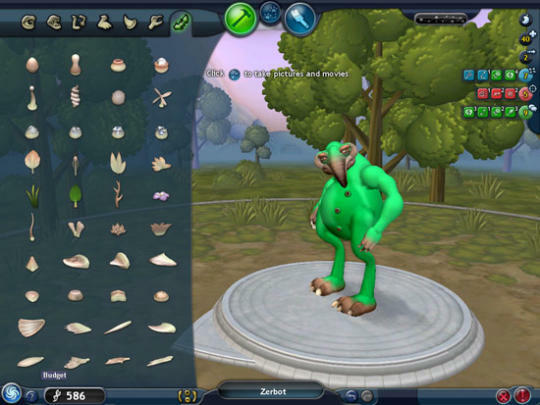 Spore  is the first of its kind for the simulation genre of video games. Playing this game takes you through the journey of being a small little cell fighting for survival slowly evolving into an actual creature that will allow you to create a tribe, civilization, and even as far as outreaching to space. I guess the sky isn’t the limit with this game. The interface  for Spore is very easy to use. 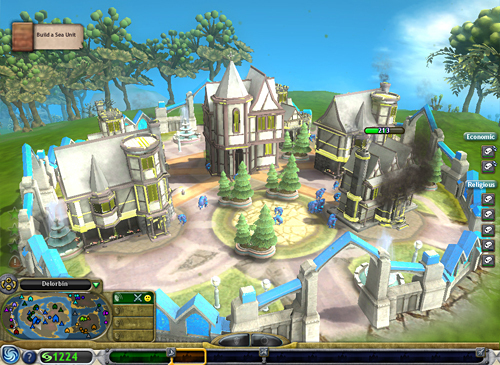 A simple drag and drop interface is used for creating creatures and objects of all types. The possibilities are endless! When in a 3D world, normal WASD keys can be used to navigate as well as the mouse. The true test was to see if I could use WASD, Click-Navigation, and Mouse-Navigation — this game passes that test! You can use all 3 traditional navigation methods. So how about those graphics ? They’re pretty cool actually. There is a certain level of realism along with a certain level of cartoony feeling. There are many different visual settings that you can set to really polish off the look of the game. The game even comes equipped with a depth of field and blur setting! That’s the first time I’ve ever seen those types of settings, personally.